You’re talking to a co-worker about your last successful campaign and you notice the corners of their mouth tighten and shift downward. They tilt their head and their eyebrows come together just a little. Suddenly, you realize that maybe they haven’t been doing so well. You ask if they are doing well or if they need anything and suddenly, their face relaxes and their eyes widen with interest. They tell you they’ve actually been struggling and could use some advice from someone like you. No, not a mind-reader; a face-reader. Reading faces is a valuable skill not only in the working world but in every day life. Being able to guess what a person is thinking simply be reading the small gestures (often called micro-expressions) on a person’s face helps you navigate your way to the top of the dog pile by being more empathetic. You’re not a mind-reader, but you’re the next best thing. There are four parts of the face to pay attention to when you are trying to read a person. 1. The eyes. Pupils dilate and become large when a person is legitimately interested in what you have to say. However, if they are angry or they think they’ve perceived something offensive, the pupils become very small and focus intently on the subject of their anger: you. If the other person’s eyes narrow or squint, they think you’re being dishonest, so it’s best to clarify what you’ve just said. And finally, eyes that can’t focus, that dart here and there signify discomfort and distraction. Get them to focus on you again and sell your point! 2. The lips. A person will purse or tighten their lips into a hard, straight line when they are on the defensive. They are frustrated or they disagree with something that’s been said. In the opposite direction, a person who puckers their lips, or bites them, in any way drawing attention to their mouth is feeling unsure or vulnerable. In this case, it’s best to be comforting and reassuring but establishing your dominance. Be the leader and do it now! A person whose lips twitch is hiding something. They might be lying and trying to hide their pleasure with themselves by suppressing a smile. Call them out. 3. The nose. The nose doesn’t move as much as the lips or eyes, but it still has a lot to say. A reddened nose indicates increased blood-flow and simply means the person is lying and unsure of what they are saying. When a person’s nose is flared, meaning the nostrils are wide, they are clearly angry or annoyed. Generally, when the nose is crinkled as if the person smells something bad, it’s because they are contemptuous and have disdain for you or what you’ve said. Time to put on the charm! 4. The eyebrows. If you’ve ever seen a silent movie, you know how much emotion we can convey just by raising or pulling together your eyebrows. High brows show fear, surprise, or interest. Eyebrows that are lowered and form several wrinkles on the forehead can either mean anger or intense concentration. And last, if you notice the eyebrows are lop-sided with one raised and one lowered, it usually indicates the person is confused or uncertain. It’s best then to assuage their fears and sound more confident. 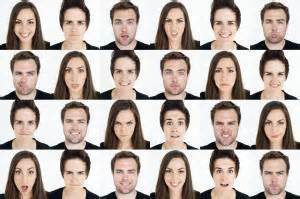 While gestures can change with a person’s upbringing or their cultural background, facial expressions linked to emotions are universal. Disgust, surprise, fear, and love look the same in one part of the world as another. Mastering the ability to read subtle and overt facial expressions will make you a master at communication and negotiation and a valuable company asset. Happy Fiber Optic Friday! Feast your eyes on these five fun facts! 1. Fiber optic fibers use light. If you didn’t know that by now, welcome to the party! On a more serious note, because fiber optic cables emit less heat than electric ones, there’s less chance of a fire in buildings that use fiber optics. Home electric fires are also, sadly, incredibly common, especially these days when entire houses are plugged in and running lights, TVs, kitchen appliances and everything else under the sun! Electric cables can be rendered useless if even a portion of the cable overheats and melts. The signal is disrupted and the energy can’t be used. It’s garbage…dangerous garbage! Not so with fiber optics! 2. Fiber optic fibers are thinner than ever! Yes, it seems even science and technology adhere to New Year Resolutions with the same determination as any of us. And thinner and sleeker means faster and better. Fiber optic cables are thinner than a human hair! Unlike bulky and limited copper wires, data that’s transmitted through lightweight and flexible material can move faster and more fibers can fit into one insulator pipes. That means more data for less cost for both the company and the customer! 3. Fiber optic fibers are incredibly lightweight. How lightweight, you ask? NASA uses fiber optic wiring and cables on their shuttles and rockets to decrease payload and therefore cost of fuel to launch a heavier, metal-wired electrical wiring. Better, stronger, faster, higher!..as in to Mars higher. Another benefit of lightweight materials like fiber optics is the laborers who install and transport the wiring are at a reduced risk of injury. That means a company does not have to worry about additional padded charges from insurance companies that are looking to make a buck on claims of strain from moving heavy objects and the liability therein. The cost of those claims then trickle down to the consumer! You’re already paying for your own insurance: thanks to widespread fiber optic use, you don’t have to pay for anyone else! 4. Fiber optic fibers love the planet. While not sentient, fiber optic technology is one of the “greenest” out there. It takes a lot more energy to send a sustained electric signal across a plane than it does a single flash of light. In this day and age where consumption has to be kept to a minimum, lower energy output and consumption means a smaller carbon footprint on the environment. 5. Fiber optic fibers shake it off, shake it off! Because fiber optic cables don’t transmit electricity but rather light, they don’t degrade over time like wire cables. They’re not affected by water, wind, ice, or extreme heat! They’re not immune to damage, but they can take a lot more abuse. They’ll take what you can throw at them and do it for longer, again incurring less cost on the company and the consumer. At the end of the day, fiber optics are amazing! What does it mean to be heard? Too often– especially this time of year with the presidential debates–the idea of “being heard” means being the loudest one out there or the most insistent. Let’s be clear: being insistent is different than being persistent. Persistence is not giving up in the face of adversity and finding new ways to achieve your goal. Being insistent is stubbornly sticking to your own opinions, ideas, or plans without trying to adapt. An insistent person will shout and argue and talk over everyone else. A persistent person tries again and again to come out on top, but even if they don’t, they’ll consent to change. Marketing is all about being heard. It’s communication in essence. Zingy slogans, eye-catching ads, enticing campaigns are all ways that companies use to be heard by consumers. And there are several ways that you can communicate with your target market. Since communication is a two-way street, you have to be willing to not only put your ideas out there, but to listen to the feedback. The most successful businesses out there are the ones who have a strong working relationship with their customers. They send emails, they have “Members” discounts, they put out surveys and offer perks and sales to those who provide that all-too important information. Think of it as two people trying to communicate from opposite sides of a football field. The only way they have to communicate with each other is by writing notes on the same football and then throwing it to the other person. They have to keep passing the ball with new questions, answers, comments, and responses in order to come to any agreement. Neither can make the next move until the other has handed over communication. If one person holds onto the ball and refuses to pass it, the communication has broken down and nobody is being heard anymore. The best way to get communication going between a company and the market is to make it fun for the people! 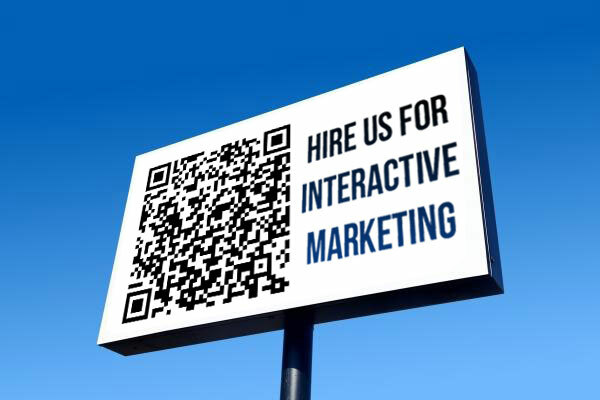 Here are a few great interactive campaigns we’ve seen over the years. 3. 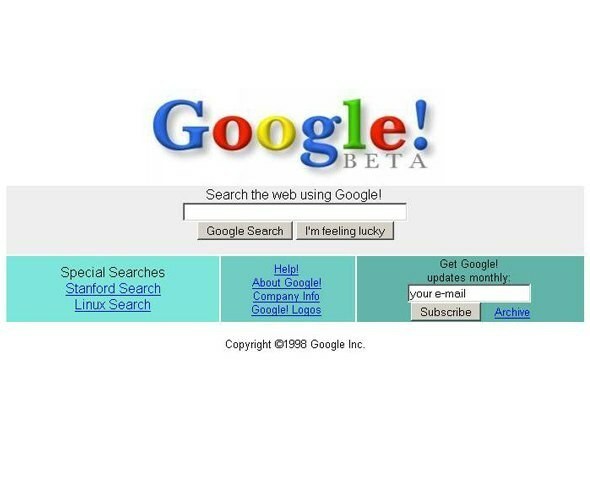 Over 1,000 computers can search a Google query in .2 seconds! 4. The first email sent was in 1971 when Ray Tomlinson emailed himself…it must not have been important since he doesn’t remember what it said. 5. The first spam email sent was just seven years later by computer salesman, Gary Thuerk. 6. Between 16-20% Google searches every day have never been searched. That’s ingenuity! 7. 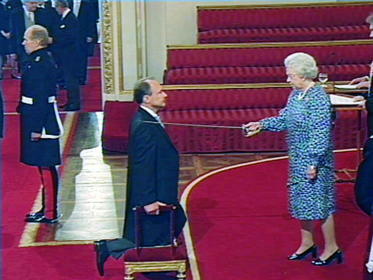 Tim Berners-Lee, the inventor of the modern web, was knighted by Queen Elizabeth. 10. The fastest login to Gmail was 1.16 seconds! 11. Remember all those CD Roms you’d get in the mail from AOL? 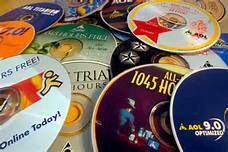 That stunt cost AOL $300 million to produce and accounted for 50% of all CD Roms produced back then! 12. Over just five years, the internet gained 50 million users!! 13. Speaking of marketing, over 1 million babies have been born thanks to Match.com! 14. If you look at amazon.com’s logo, the arrow indicates you can find anything from A to Z. 15. More browsing is done on mobile devices than desktops today. Tablets, smart phones, etc. Wow! Guerrillas are taking over. No, not the big, hairy mammals: guerrilla advertisers. Guerrilla marketing and advertising has taken off in the past few years, but what is it? No doubt you’d know it when you see it. 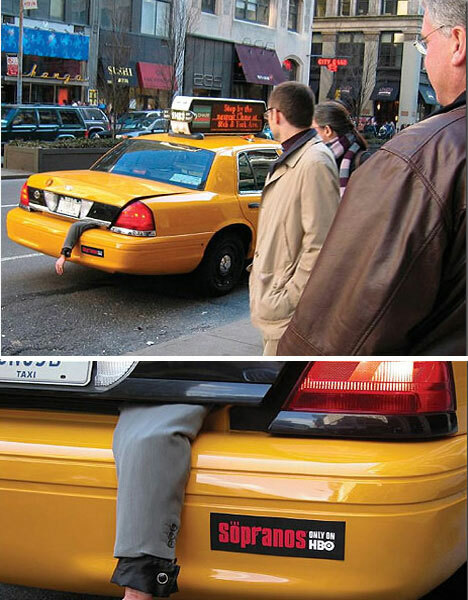 Guerrilla advertising is a strategy that is low-cost, creative, and above all, unconventional! The name comes from a war term meaning an irregular tactic used by individuals or small groups that often involved surprise attacks. The marketing industry has since taken the term to new heights by not attacking target audiences physically, but psychologically. Buying air time or ad space for your company is expensive, so guerrilla tactics are developed by small business looking to spare their bottom line. Key elements of guerrilla marketing are high-energy and imagination! It has to make an impact and leave an impression on the masses. And these days, people are as distractable as Labrador Retrievers with a tennis ball. The best way to win their attention? 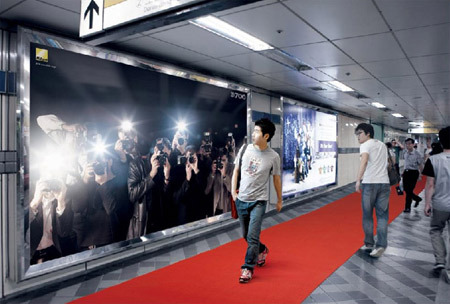 Guerrilla marketing needs to shock or appeal to a person’s sensibilities, making it memorable and personal. They should feel like the target of the campaign. They should know that you are talking to them. But there are certain DO’s and DON’T’s of guerrilla marketing to keep in mind. It’s alright to challenge your target audience, like what security company 3M did with a five foot high wall of impenetrable security glass. $500 in real money was installed between two panes of glass and installed on a city sidewalk. 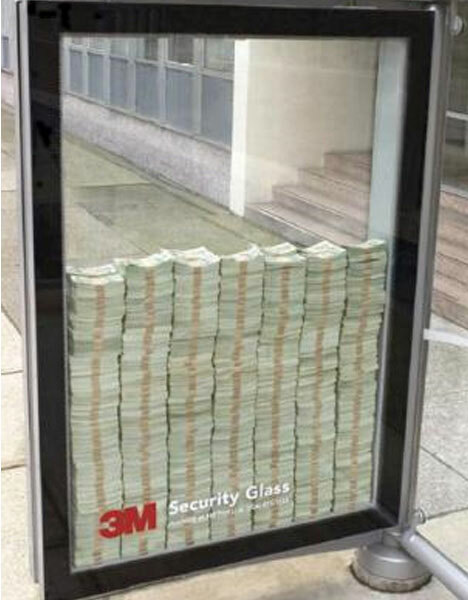 3M challenged pedestrians to break the glass to win the money inside! They also took care to install a security guard by the display to not only incite challengers but to discourage people from using more than their hands and feet. With the combination of a cash prize and the legal permission to break something, people were drawn to the challenge and impressed by 3M’s proven product. A good example of a bad campaign idea was Vodafone’s infamous “Streaker” episode. Vodafone hired two men to streak through an Australian rugby match wearing naught but the Vodafone logo painted on their backs. While daring, a good guerrilla campaign shouldn’t get the target audience in trouble with the law and definitely shouldn’t seek to make anyone uncomfortable or angry. The streakers were slapped (not literally!) with a fine and rugby fans were very upset over the incident. The teams were also, reputedly, distracted enough to miss important plays. While Vodafone certainly won the free advertising, they loss respect. Another major DON’T of guerrilla marketing is Don’t be Something You’re Not! Keep your target audience, your team and your mission in mind. If you’re a Fortune 500 company, don’t advertise yourself as a down-home-mom-and-pop shop. If you’re a grassroots organization, don’t alienate your target by making lofty and bourgeois demands of them. Successful guerrilla campaigns use what they have at their disposal including stairs, escalators, the ground, and trees! 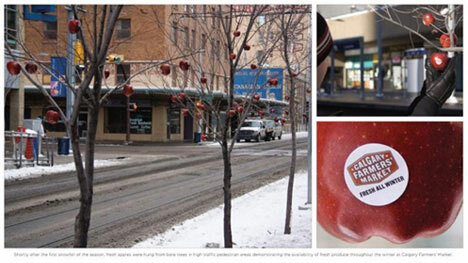 Calgary Farmer’s Market hung ripe red apples from trees with stickers on the apples advertising the market’s dates, times, and locations. Cheap advertising for the market, and free apples for the target consumers! In the bottom left corner of the picture below, Folgers used giant stickers and manhole covers to advertise their coffee, knowing full well that most people tend to look down while walking on the sidewalk. 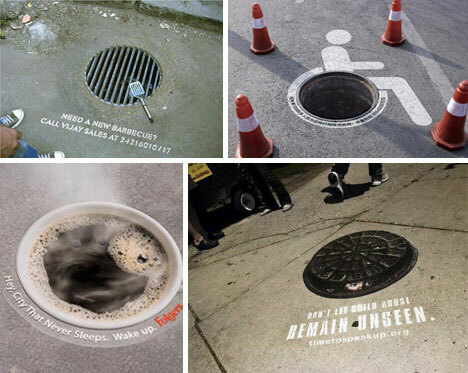 Guerrilla ads make you look twice and whip out your camera phone. They stand out from the rest of the ad space that surrounds them. When consumers see something truly guerrilla, they share it! Who wouldn’t want that kind of loyalty?